The ability for rockets to leave the earth's atmosphere and reach outer space is based on the technology involved in rocket engine design. 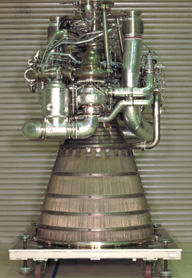 The rocket engine design considerations (that were incorporated during the development of the LE-5) included not only the ability to guarantee that it would successfully reach outer space reliably but reusability which would make the use of these rockets economically feasible. TEAC Data Recorders have been employed as test equipment since these engines were developed some 30 years ago. Engine Vibration Analysis is very important data used to continue improved designs of rocket engines. This data is used to increase the reliability and durability of these devices. The tests have to be performed using real world conditions these engines will experience such as extremely low temperatures, drastic pressure levels and high speed rotation. If for example, the vibration level is over a prescribed threshold, this can decrease engine efficiency and also have a negative effect on other rocket components. TEAC Data Recorders are used for their ability to accurately record this measurement data in real time. A big advantage that TEAC Data Recorders have over many other recording systems is their ability to capture wideband data on multiple channels. Considering the expense involved in performing even a single test, the recorder's capacity to capture this data across multiple channels is an important cost saving benefit. 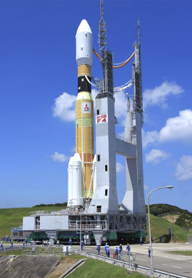 On October 1, 2003, the Institute of Space and Astronautical Science (ISAS), the National Aerospace Laboratory of Japan (NAL) and the National Space Development Agency of Japan (NASDA) were merged into one independent administrative institution to be able to perform all their activities in the aerospace field as one organization. This will range from basic research and development to utilization. 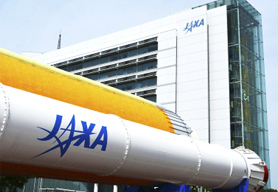 Under our corporate message "Reaching for the skies, exploring space," JAXA is pursuing great possibilities in many aerospace fields. We are striving to succeed with various research and development missions in order to contribute to the peace and happiness of mankind.